A great deal of collaboration and exploration occurred to find the best solution for the needs of JDA. 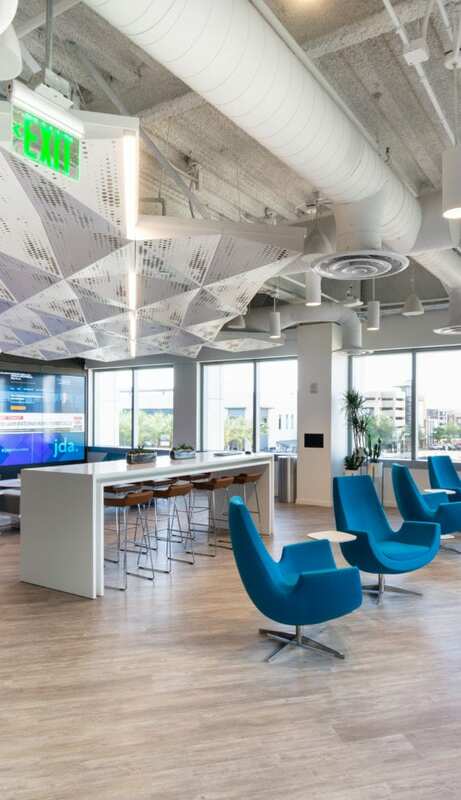 Once the design intent was solidified, the Design/Build Team and CIS DIRTT Team worked through the details and budget together to deliver a technology-driven, one-of-a-kind space for JDA to showcase to potential clients and customers. CIC is a facility in Flagstaff, AZ, and Portland, OR. The CIS DIRTT team worked closely with the architect and contractor to make this project a success. Desert Troon’s original space One Perimeter Drive was one of the first DIRTT projects in Arizona, completed 30+ year ago. 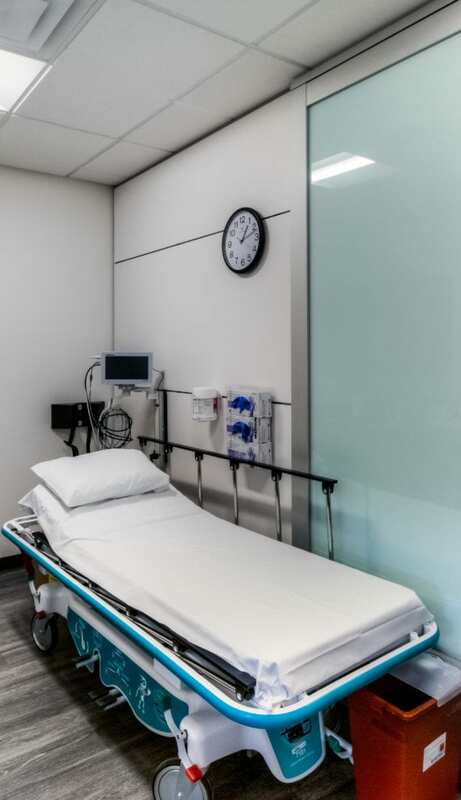 As it was an early project, a number of innovatiosn had occurred since its original construction, including integrated power, data, millwork and in-wall technology (displays). 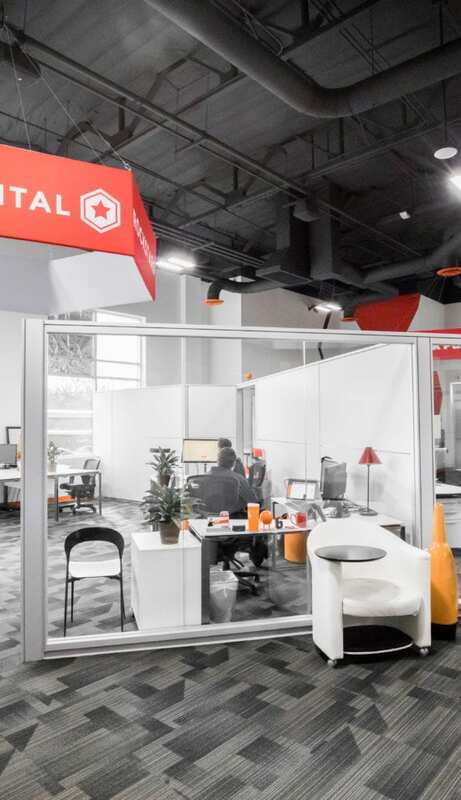 When Desert Troon decided to sell their building, they wanted to recreate their DIRTT Environment in their new spaces, specifically, the project rooms. Due to timing, Desert Troon relocated to a temporary space for approximately a year while their final destination was undergoing construction. They chose to build out with DIRTT in both their temporary space (Grayhawk) and final location (The Peaks), capitalizing in DIRTT’s advances of integrated technology and millwork along the way. Design was largely driven by the Desert Troon facilities team. Gate 6 is a growing graphic and web design services company who was looking to create a unique space that would meet their budget and be adaptable over time. As a young company, making the leap to their own building, budget and timeline were primary factors in the process. 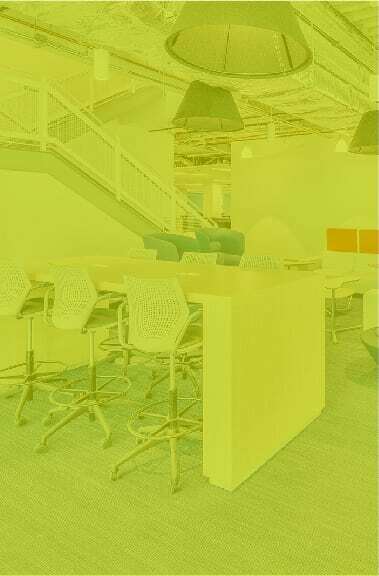 The unique applications, such as those found in the open office area of Gate 6, are examples of what is possible with Design Assist/Build capabilities of the CIS DIRTT Team.